Is Vegetable Cellulose Harmful to the Body? 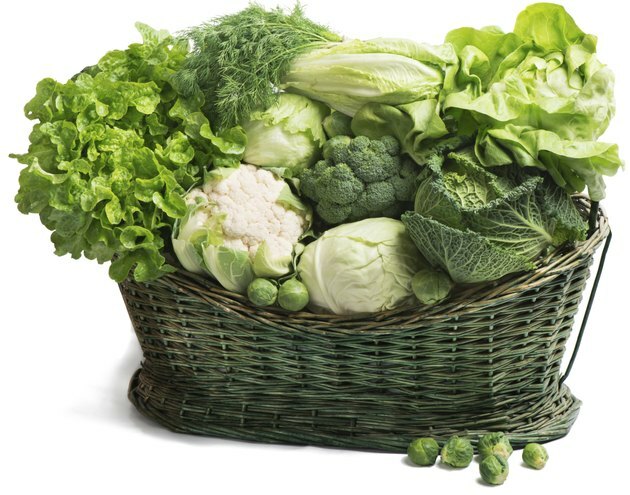 Cellulose is one reason vegetables are good for your health. It's a natural dietary fiber that keeps your digestive tract in good working condition and may help prevent some intestinal diseases. Like other types of fiber, such as pectin from fruit, cellulose is often extracted from plants, including tree bark, and used as a food additive. While it's a safe additive, it sometimes attracts negative attention. Don't let that stop you from enjoying vegetables and getting the full benefit of their nutrients and fiber. Polysaccharides are carbohydrates, such as starches or complex carbs, made from tens to thousands of sugar molecules connected together. Cellulose is also a polysaccharide. It's found in all types of plants, where it stores sugar and forms the rigid structure that supports plant cell walls. A variety of products, such as paper, cotton and wood, are made from cellulose. These diverse roles may make cellulose sound unappealing as a food, but if you eat fruits and vegetables, you will consume cellulose and gain the benefits. Cellulose is an insoluble fiber that your body doesn't have the enzymes to digest. As a result, sugar in cellulose is not used for energy like other carbs, but it still has important jobs to perform as it travels through your digestive tract. The fiber absorbs water, which adds bulk and moisture to stool and helps prevent constipation. Like other types of insoluble fiber, cellulose may help prevent diverticular disease, which occurs when pouches in the wall of the large intestine become inflamed. In addition, men who ate larger amounts of insoluble fiber were less likely to develop prostate cancer, according to a study in the April 2014 issue of the "Journal of Nutrition." About one-third of all the fiber in vegetables consists of cellulose, reports the Institute of Medicine. This means that the best sources of cellulose are vegetables with the most total fiber. You'll get about 4 grams of total fiber from 1/2 cup of cooked peas, sweet potatoes, okra and Brussels sprouts. Other good choices, with 2 to 3 grams of fiber per 1/2-cup serving, include asparagus, kale, broccoli and green beans. The recommended daily intake for total fiber, including insoluble and soluble, is 25 grams for women and 38 grams for men, according to the IOM. The Center for Science in the Public Interest reports that cellulose is a safe food additive used to improve texture, prevent sugar from crystallizing and thicken foods. You may experience side effects such as gas, bloating and diarrhea when you consume too much cellulose or suddenly increase the amount of fiber in your diet. If you don't already eat the recommended 2.5 to 3 cups of veggies daily, you can limit the risk of side effects by adding them to your diet gradually. It's also important to drink plenty of water. Without sufficient fluids, high amounts of cellulose may block your intestine. Why Do You Need Cellulose in Your Diet? Which Fruits & Vegetables Relieve Constipation?